Full Moon, Saybrook Point by Maurice Sapiro shows the night sky over the water at the oceanside town of Saybrook Point, Connecticut. Dark blue water with a barely visible shore rests under a hazy, turquoise night sky brilliantly lit by a full moon high above. Award-winning artist Maurice Sapiro captures the beauty of Nature through his unique depictions of a singular moment beyond a traditional landscape. His seamless ability to extract light and shadow from color allow each of his pieces to illuminate any space they are presented in. Highly regarded Realist painter Maurice Sapiro is no stranger to taking chances. As anyone who studies his work can attest, his ability to perceive, capture, and transpose light and color onto canvas is unlike any other. Sapiro has dedicated his life to art and as a result he has received many awards for his work. He has authored many art books which have sold over 48,000 copies and have been considered authoritative classics in the classroom and the studio for over 30 years. 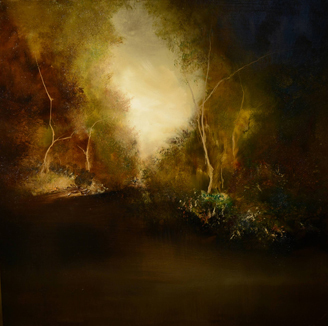 Maurice Sapiro is represented exclusively by Mahlstedt Gallery. The National Academy of Design, 135th Annual N.Y.C. Metropolitan Young Artists Show, National Arts Club, 1958, N.Y.C. Allied Artists of America, 88th Annual 2001 N.Y.C. The American Artists Professional League, 73rd National 2001, N.Y.C. 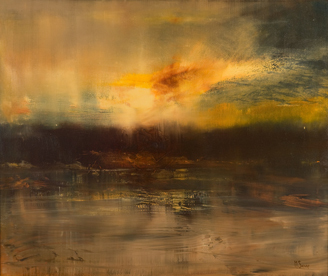 Rockbound by Maurice Sapiro vividly depicts the rustic tones of yellow and brown that reflect in a lake surrounded by rocky, mountainous landscape. 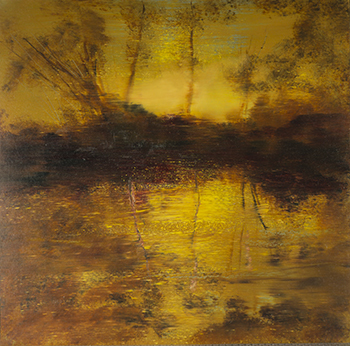 Theme and Variations by Maurice Sapiro is a quiet landscape with a dark pond and thick forest background. A gap in the canopy reveals a clouded gray sky. 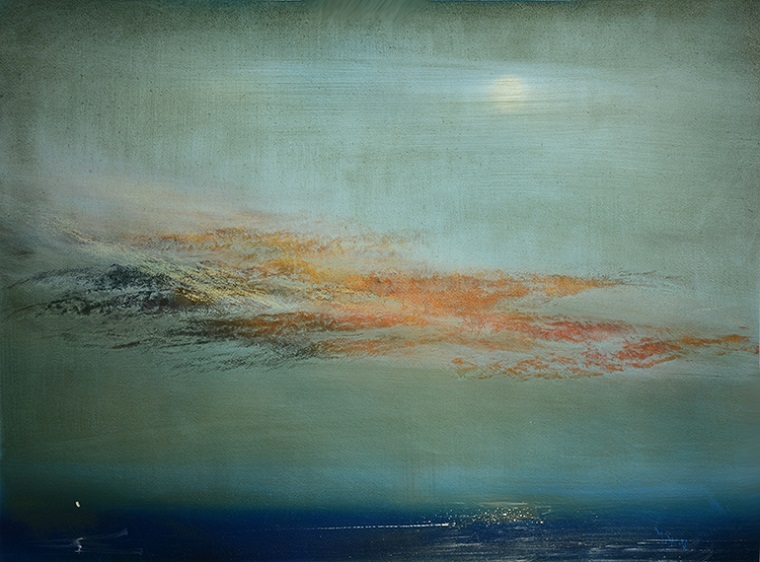 The Brook 3 by Maurice Sapiro is a rich painting of a sky at sunset depicted in an array of tones, including deep blue, vibrant yellow and orange, and faded green. It pulls together to form a heavenly landscape full of light and life.